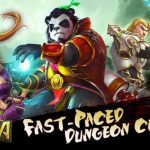 Taichi Panda is a fast-paced Kungfu themed dungeon crawler, where you grow your panda and have it enter a world of goblins, bandits, and pandas. 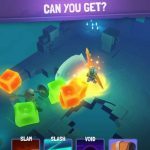 You will be fighting off enemy after enemy after enemy as you level up your character and unlock more abilities, upgrade its gear, and leverage the elements to cast magic spells through ancient runes. 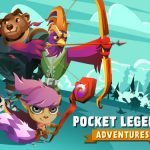 You can also play alongside pets – an RPG staple that would pretty much mean animal sidekicks that have their own skill sets and progression paths. And in order to upgrade or do various other things in the game, you need gold coins. How can you get them in this game? Glad you asked, because we have compiled a list of Taichi Panda tips and tricks that can help you earn more gold coins. Your panda could play pickpocket in this game and steal some gold coins, but when pickpocketing, you should target victims that are about one to two levels below you. Most of the time, you’ll be able to walk away with at least 2,500 gold coins by employing this strategy, so don’t hesitate to do some stealing if you find the opportunity to do so. 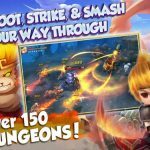 Grinding is an option for you here in Taichi Panda, and to give you a brief explanation of what this means, it refers to repeating levels you’ve already won so that you can get more of that much-needed loot. When grinding, keep your eyes peeled for Crates and Vases. You can smash them for extra coins and earn some easy money. Additionally, some levels have solid treasure chests that could also be destroyed for more moolah. If you use Auto-Looting in three-star levels and have enough Constitution Points, you’ll get more gold, among other types of rewards. Going back to the previous tip, you can re-play one- or two-star levels at any time, and once you’re at three stars, that’s when you can go with the Auto-Looting. All levels have the potential to help you earn some gold, but Gold Instances have much, much greater potential to help you do this. The World Map has three regions, with one Instance per region, and you can only visit each of these Instances once a day. Find these Gold Instances and visit them accordingly, and you’ll be earning a ton of gold with little problem. In addition, Team Instances could help pandas without constitution points earn some gold. You can go to the market to smelt or re-forge equipment, meaning your weapons and/or armor. Once that’s done, you’ll earn coins, and probably some Market Crystals too. The latter could be traded in for gold if the option is available, so keep that in mind as well if you’re strapped for gold coins and need a quick fix. For general Taichi Panda tips and tricks you may want to check out our dedicated article, right here.